Sabrina Carmona has been a producer for over 8 years and is now leading the development of a new product at King, in the London Studio. From having her own studio back in Sao Paulo, where she is originally from, she has led the development of games from mobile to console, from companies like Square Enix to King, in a total of 6 countries: Brazil, Mexico, Chile, Germany Sweden and now the UK. 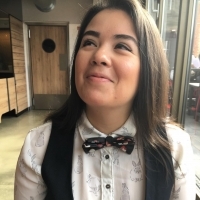 Whether it is in Portuguese, English or Spanish, she is passionate on creating the right environment to enable culturally diverse teams to do what they do best: make games.